At the heart of economic development lies food security and technology, innovation and creativity. However, how can one even begin to think of food security without acknowledging the need to empower farmers which undoubtedly translates to increased productivity? To Jackson Kiptanui, the CEO of Icedtube, food security and, technology and innovation complement one another. The need to contribute to food sufficiency has ignited in him a a very great strategy he intends to use in doing so. 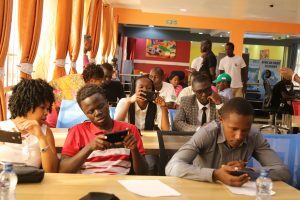 It is for this reason that on the 23rd of November, 2018, accompanied by a representative team of Mobile Journalists, he drove to Egerton University to launch the first chapter, The Egerton University Chapter of IcedYoung. IcedYoung, a community of agripreneurs passionate about agri-journalism is one among the four platforms Jackson works with to achieve his vision. Icedtube has the interest of the farmers at heart, the core reason he wishes to make a difference in the lives of farmers through photos and videos, and therefore contribute towards food security, a very crucial aspect of economic empowerment and development. “My aim is to help people learn from each other using videos. I look forward to a situation of immense increase in productivity, a ripple effect in food security and an improvement in the entire lifestyle of communities,” says Jackson Kiptanui. “Agribusiness is the big thing now. But how do we make the best use of it? How do we utilize it?” He asks. 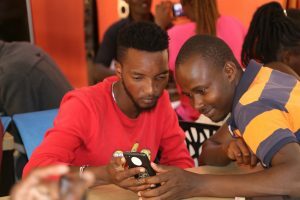 As a way of showing how he intends to maximize benefits from agribusiness, Icedtube, in conjunction with Mobile Journalism Africa converged at CoELIB incubar at Egerton University on 23rd November, 2018 to offer a training to aspiring agripreneurs on how to use their mobile smart phones to shoot videos as well as recruit the first batch of IcedYoung community. 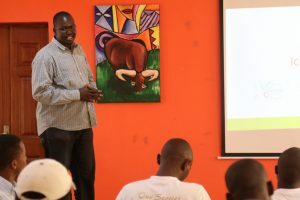 Jackson Kiptanui has created four forums: two online channels and two communities. 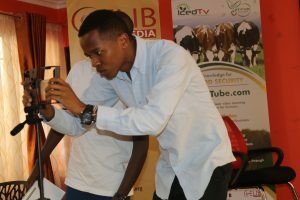 The first forum is IcedTube, a peer to peer video learning program through which the agribusiness community can share knowledge in form of videos. 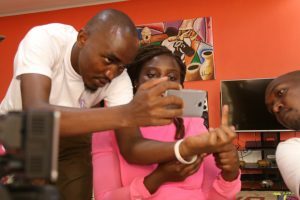 These videos can be shot at convenience of time since, the agripreneurs are trained on how to capture a quality video using their mobile phones. 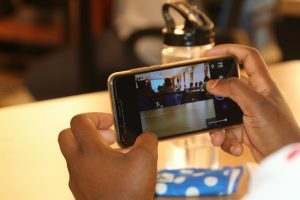 Mobile Journalism Africa team even went ahead to show the aspiring agripreneurs how to edit their videos, and again, using their smartphones (what Mobile Journalism Africa calls Pocket Studios). Mobile Journalism Africa is a team geared towards revolutionalizing storytelling. It gives training to the public on how to tell their own stories in a simple and professional way using their smartphones. With their slogan, ‘our stories are best told by us’, the team (which was represented by Marvin Gakunyi, the CEO and Co-founder; Emmanuel Yegon, Communications Director and Co-founder; Ochieng Obunga, Editor in Chief; Victor Omath, political editor and Ken Muthengi, Business editor) emphasized the need for agripreneurs to market themselves by telling their stories to the others themselves. “You don’t have to wait for the mainstream media journalists to come and cover your story. Do it yourself and share,” said Yegon. The shooting can be broadcast live on IcedTv (an internet Tv), the second channel Jackson will use to share knowledge from experts with ordinary farmers. “I have noted a very wide gap between agribusiness in agriculture based institutions such as colleges and universities, and the outside community. These institutions have a lot of information which do not get to ordinary farmers, the very people who really need this information and knowledge,” Jackson asserts. He therefore seeks to bridge this gap by broadcasting live best agricultural practices by experts. Jackson acknowledges the significance video has over text, emphasizing that, “the demonstrations will be very easy to memorize.” IcedTv is a platform through which the knowledge will be delivered to the ordinary farmer(s). IcedTube and IcedTv are knowledge-driven platforms on how to do agribusiness, platforms where agripreneurs will reap invaluable benefits. The first one is IcedFarmer, a network of players in the agribusiness community. But, they are not just players. It is a community of farmers who will not only share the content among themselves, but will as well teach and mentor in the process. They will, consequently, learn from each other, and mentor each other. He hopes to bring more youth into agribusiness; use it as a strategy to help curb antisocial behaviours and drug and substance abuse birthed by idleness, which is born out of unemployment. The launch of the IcedYoung Egerton University Chapter was just a beginning. His goal is to reach out to all agriculture bases institutions all over the nation and Africa. They key activities that IcedYoung will undertake include: instilling agripreneurship skills in others, holding farmer friendly chats, conducting farm tours, incubating agri-based ideas and above all, mentorship. IcedTube, in conjunction with Mobile Journalism Africa, will continue traveling across the country to train agripreneurs on how to utilize the mobile gadgets in agribusiness as well as tell them the good news that is IcedTube. This will include launch of IcedYoung chapters in institutions. IcedTube seeks individuals who are passionate about agribusiness, with interest in agri-journalism so as to help make the world a food secure place. 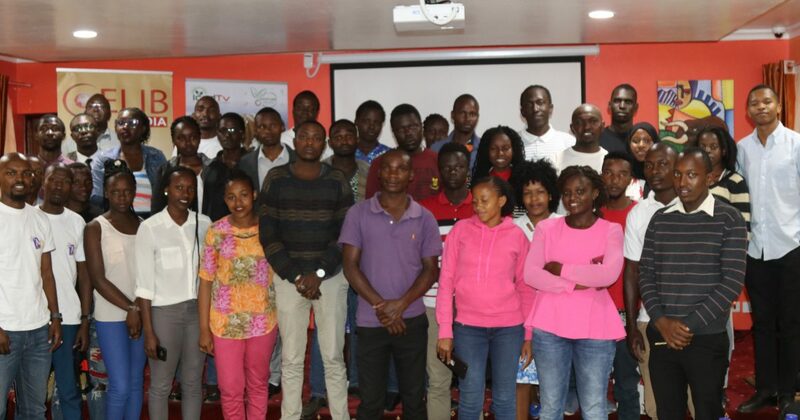 This will be basically through digitizing agribusiness training and production of short agribusiness instructional videos in addition to promoting the youth in agribusiness through agri-journalism.